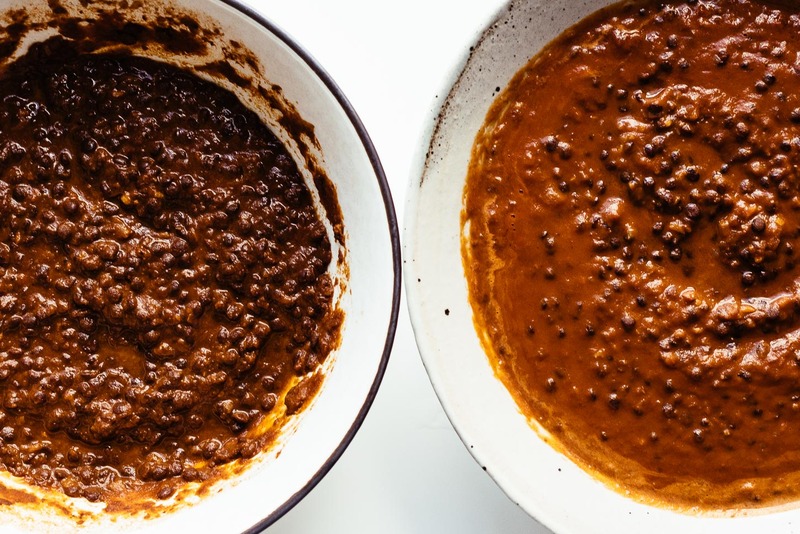 Dishoom inspired Instant Pot black dal in under an hour: creamy, rich, and incredibly flavorful. 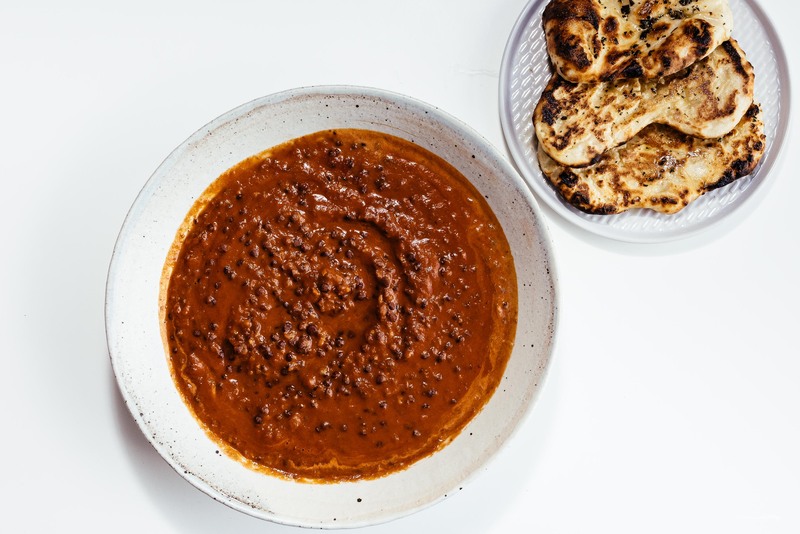 Looking for a quick and easy Dishoom-inspired Instant pot black dal? 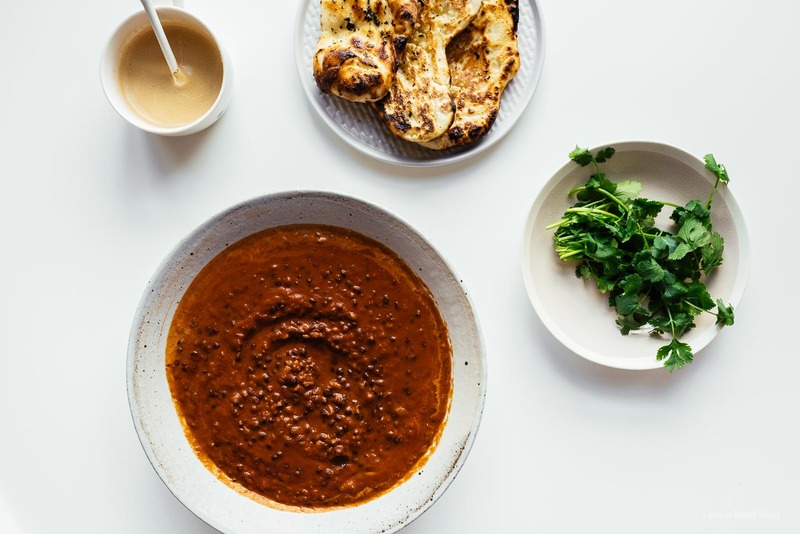 Look no further – tender lentils in a rich and creamy tomato gravy seasoned with cinnamon, coriander, cardamom, fennel, garam masala, and more. Finished with just a touch of butter and heavy cream, this vegetarian dish is comfort food at it’s best. A Dishoom signature dish — dark, rich, deeply flavored. It is cooked over 24 hours for extra harmony. I mean, okay, looking at it now, I should have just gone with it because it’s a signature dish. But for some reason all the other dishes called out to me more. I think it happens quite often because our server gently suggested we give it a try and I’m so happy that we did because it’s become one of my top comfort foods, especially with some homemade garlicky naan. If you haven’t had dal, it might be kind of a hard sell. It looks like, well, not much. But, brown food is almost always the best food out there and if you had a taste you might be obsessed too. With a good dal, the lentils are perfectly cooked, holding their shape, yet giving way with just the slightest pressure. They release their starchy goodness into the gravy, thickening and making magic. 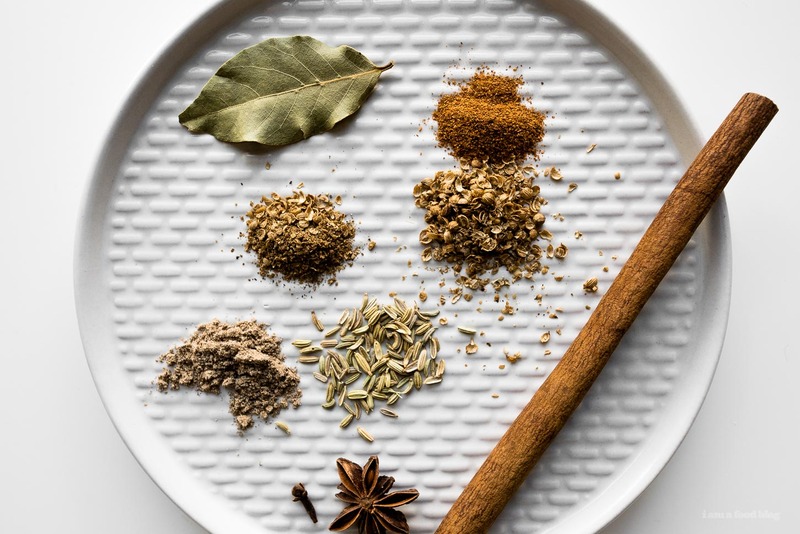 The spice mix goes a long way, building flavor upon flavor with cinnamon, fennel, garam masala. The tomato paste adds that extra bit of umami and finishing off with butter and cream? Well, that’s just asking for love at first taste. After falling in love, I created a 24 hour copy cat version because Dishoom cooks theirs for 24 hours. But, sometimes, when my freezer stash runs out, I need dal and I need it immediately. The thing about lentils is, they take time. But, after a quick consult with The Google, I realized that Indian grandmas everywhere have been making dal with pressure cookers since the invention of pressure cookers. So, I grabbed the Instant Pot and here we are. The only difference between this recipe and the one on the stove – aside from the 24 hour cook time – is the fact that I didn’t soak or precook the lentils. Taste wise however, the two were quite different. I happened to have a batch of the 24 hour dal in the freezer specifically so I could do a side by side taste test and the results were pretty surprising. In the Instant Pot, with the sauté function on high, add the butter and oil. Add the onion and cook, stirring, until soft, but not brown. Add the ginger and garlic and cook, stirring. Stir in the spices, cinnamon stick, and bay leaf. Stir in the lentils, tomato paste and add up to 2 cups of water. Place the lid on and cook on high pressure for 15 minutes. Quick release when the time is up. Vent and carefully open the Instant Pot. Stir in butter and cream to finish. Taste and season with salt. Enjoy with cilantro and yogurt. Note: Sometimes I have this with just rice, but naan is always a good bet! Update: I’ve made this again a couple of times and have successfully reduced the water by about 1/2 cup (after soaking the lentils for an hour or two) and cooking for a tiny bit longer than 15 minutes. I’ve done everything from 20-30, it really depends on how tender/mushy you like your lentils. I just love the aesthetics of your blog and the way you work with your recipes, photos, texts. I am vegan and since I changed my diet, my anemia kicked in for good. Lentils are one of the most good sources of iron, so… I was wondering if this recipe could be done the same in a normal pot or in a pressure pot. I don’t have an instant pot. Perhaps it would be better in a normal pot, so the flavours and spices get to mingle slowly and strongly. you can definitely do this in a regular pot, just check this recipe! 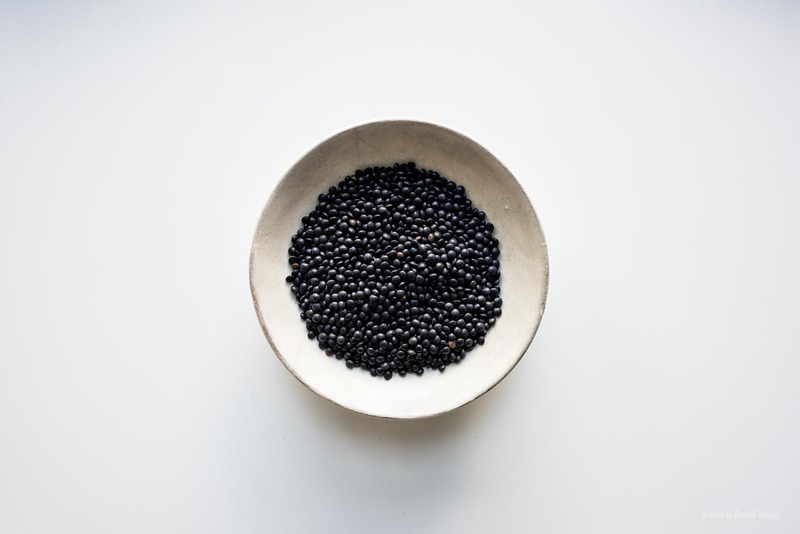 What type of lentils did you use specifically? I’ve used split urad dhal for a similar recipe and wasn’t impressed with the flavour. Beautiful!! 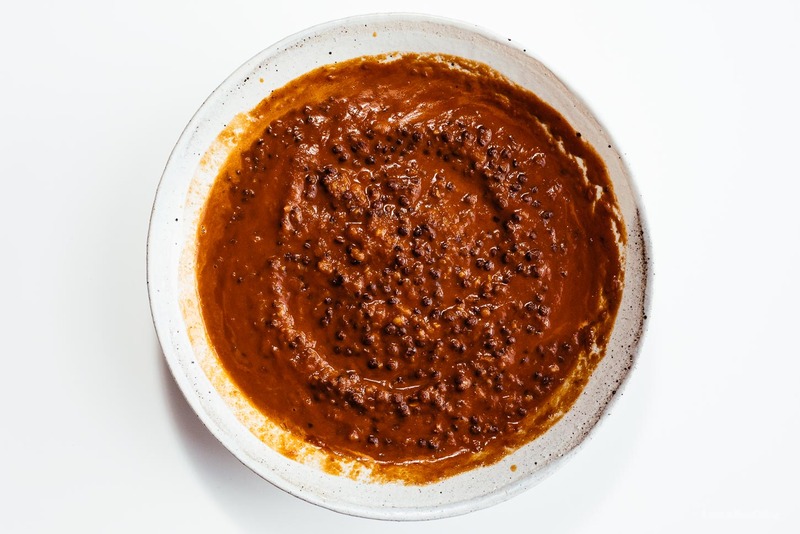 I’ve made Dal Makhani with black lentils before, but not in a pressure cooker. Must try. Your recipe is delicious; not to mention how wonderful it smelled as it was cooking. I used black dal, Urad, unsoaked and it definitely needed a full 1/2 hour time under pressure, at 15 mins it was not cooked. Otherwise, absolutely fantastic, thank you! so happy you got to try this recipe dak and thanks for the tip on 30 minutes instead of 15! 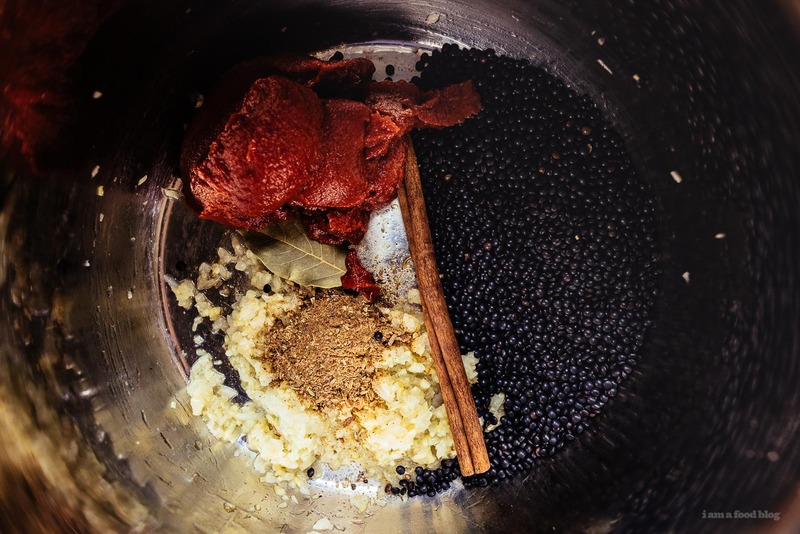 I noticed that your 24 hour recipe calls for 1 cup black lentils, while the Instant Pot version calls for 1/2 cup, same amount of spices (that blend is heavenly!). Any particular reason? 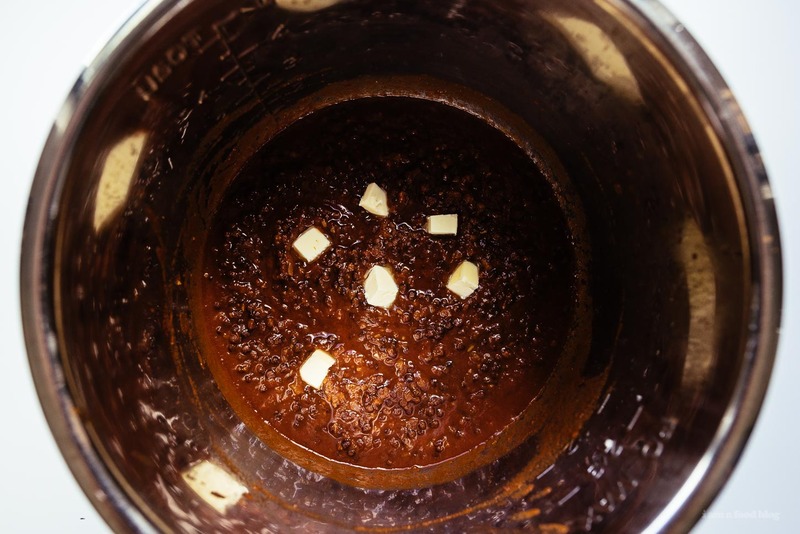 If I wanted to double the Instant Pot version to 1 cup, do you have any tweak I might add? I wonder if you could cook the dish under pressure, then use the slow cooker function to get the effect of the longer cooking time? i haven’t tried but i think that would definitely help out with the further softening of the lentils and intensify the flavors somewhat. let me know if you give it a try! Let me know how it came out – looking forward to your feedback! I made this using black urad lentils (had to go to my Indian grocery store as the other store didn’t carry any). I had to pressure for 30 minutes to get the lentils soft and I think next time I would do 35-40 to get them even softer and creamier. I also omitted the cream and butter at the end -= stirred in a dollop of yogurt to get the creaminess. The spice blend is great! So delicious, especially served with the yogurt, cilantro and chutney. I used 365 brand organic whole black lentils from Whole Foods and pressured it for 26 minutes, based on other reviews. However, my lentils were over cooked. I’ll reduce it next time. I tried this (with urud dal) but found the taste of tomatoes overpowering and it did not remind me of my favourite black dal from Dishoom. the spice blend was nice, but I am not sure if I would make it again. 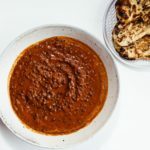 thanks for the feedback – i think if you’re looking for something that’s more close, the 24 hour dal would be a better bet – the tomatoes don’t cook down as much in this version.